So I'll be honest, I haven't read all of the previous Rock Harbor books. BUT that being said I didn't feel like I was missing out on too much by reading this one as a stand alone. 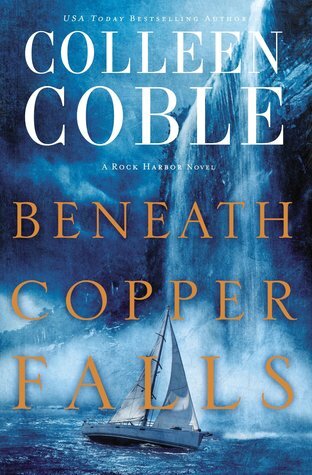 I love reading Colleen Coble's suspense. She really knows how to pull you into a story line, write strong characters (ones with depth! ), and wrap it all up with an endearing romance. I so enjoyed this book, it had me sitting up ALL night anxious to find out what would happen. One part I enjoyed was getting a peak into the life of a sheriff's dispatcher. That is such a challenging job and I really liked how Colleen wrote it into the book. I don't want to give anything away but I am telling you this is a must read if you enjoy suspense! Definitely one you want to add to your summer reading list. "Thanks to BookLook Blogger for giving me a copy for free. All opinions are my own." I love her books!! Adding this one to my list.